There are still over six weeks remaining in the 2015 Major League Baseball regular season and plenty is left to be decided. Most, if not all teams have between 40 and 45 games left to either solidify their off-season plans early or punch their ticket to the postseason. In those remaining contests, each team’s aces or number two pitchers should – barring injury or other circumstances – get eight, nine or even 10 more starts on the bump. With that being said, a small group of pitchers have made themselves clear candidates for this year’s American League Cy Young award. The following five hurlers are each at different stages of their MLB career and are worthy of consideration for different reasons. Let’s take a quick look at four arms who didn’t crack the top five but have performed admirably enough to be listed as honorable mentions. Before revealing the top five choices at this juncture of the season, let’s take a look at some quick facts regarding the candidates. Without further delay, onto the list! 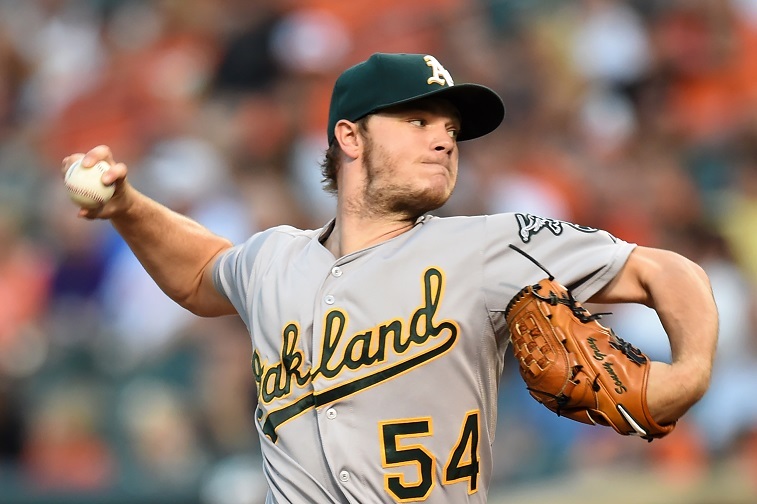 Oakland Athletics ace Sonny Gray may be the favorite among the crowded field here in mid-August. The Vanderbilt product ranks first in numerous important statistical categories and has been consistent all year. After missing a start last week due to injury, Gray returned with one of his poorest starts of the season in a loss to Baltimore on Monday. 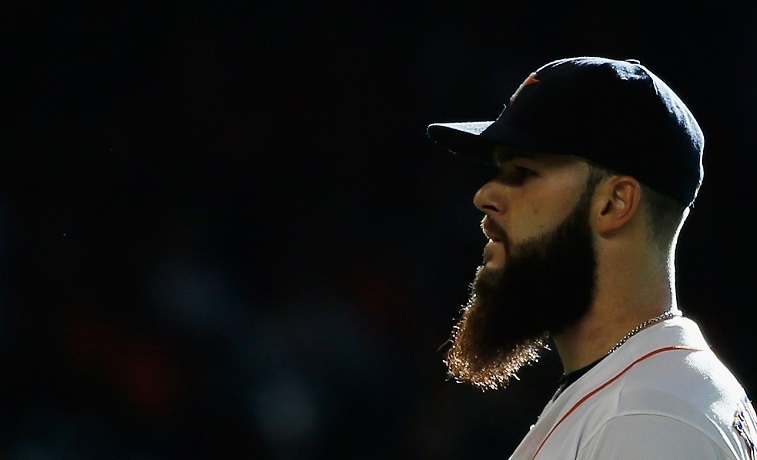 Still, his line of 5.2 innings, 7 hits and 4 runs allowed (with one earned) was not terrible by any means. What might end up costing Gray – who made his first All-Star team this season – is the fact that he plays for the lowly Athletics. Dallas Keuchel is right there alongside Gray in many of the categories and has been the ace of an extremely surprising Astros squad. At 27, the lefty was a bit of a late-bloomer but has been stellar here in his third season. 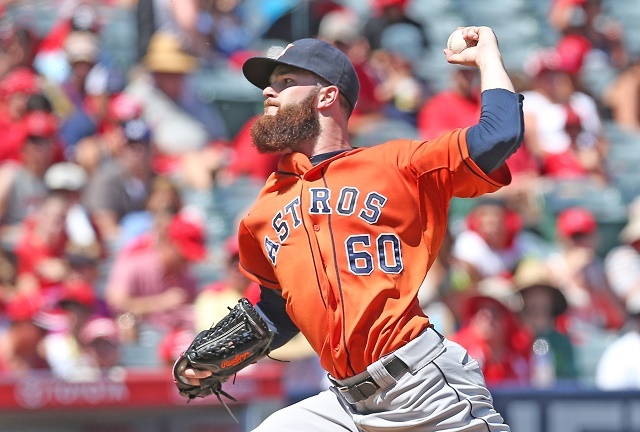 The AL West is still wide open, but if Keuchel can lead the Astros to their first playoff appearance since 2005 this October, look for him to garner plenty of Cy Young support. When David Price was dealt to the Blue Jays in July, he was 9-4 with a sharp 2.53 ERA after 21 starts with the Detroit Tigers. 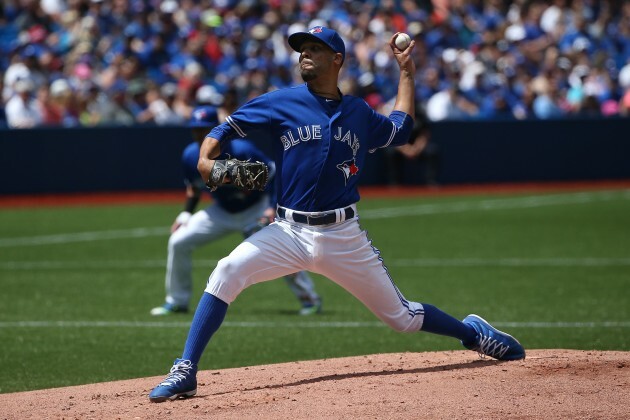 His spectacular season with a Detroit club that was fading out of contention has turned into a phenomenal beginning to his Blue Jays career. As the undisputed ace north of the border, Price is plenty familiar with pitching in big games and even won a Cy Young in 2012. After three August starts with his new team, he is 2-0. He has thrown 22.1 innings, allowed 17 hits, four earned runs and has 24 strikeouts against just four walks. As each season of Chris Sale‘s budding career goes by, more and more people are realizing just how filthy this flame-throwing lefty is. Given his stature and lean frame, the most obvious player comparison for Sale is newly-inducted hall-of-famer Randy Johnson. 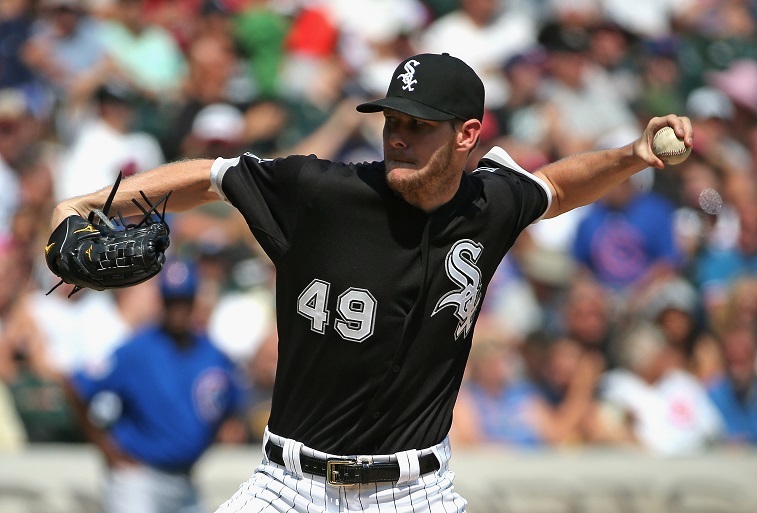 Sale has finished inside the top five of Cy Young voting each of the past two seasons. At his current rate, few would be surprised if the he ended up in a similar spot this year. Danny Salazar is probably the dark horse here, but with a solid finish to the season, the Dominican can put himself right in the thick of things. Unfortunately for Salazar – like Gray and Sale – he is pitching for a non-contender which could hurt his chances. 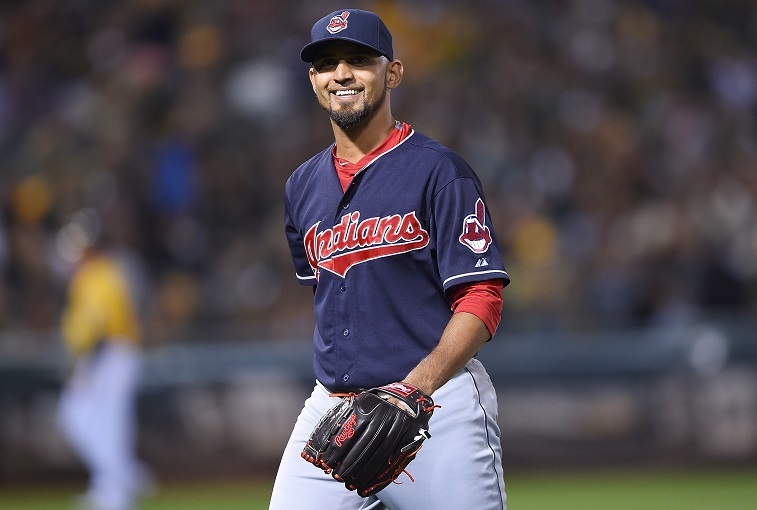 It was a toss-up between Kluber and Salazar as to which Cleveland pitcher should be listed, but the reigning AL Cy Young winner as not shown the consistency and dominance that made him the surprise award recipient in 2014. Salazar meanwhile has had a breakout year at 25. All statistics are courtesy of MLB.com, Baseball-Reference.com and ESPN.go.com.